’We are talking that we have got independence. But if we ask a question whether we have a real economic liberty then it is questionable. Some extremists are acting in an ugly manner, using this word of independence for their own benefits. We need to build up good leaders who can raise voice for entire nation. We have ruled this country for more than 71 years by introducing this system of executive presidency. Then, in 1978, the system of executive presidency was brought into our political arena with a thought of that it would be suitable for us. Late J.R. Jayewardene, Lalith Athulathmudali, Gamini Dissanayaka and Ranasighe Premadasa, and current Prime Minister Ranil Wickramasinghe all thought that the this executive prudency would be better for us, but within a short period, all started to talk that the system is not suitable for our country, and therefore all came into an opinion that the system should be abolished. I have to tell my people that even today we are in a process of trying to abolish this system of executive presidency as we held out a promise to do so. All promises become illusion, as a practice, it is what happening. Somehow we have to abolish this system. Both the President and the Prime Minister have need of doing this. In this juncture, I make an appeal from all opposition parties to give up their political differences and to join in hand to bring a radical change into existing system which is ideal for a Parliamentary System that the country requires. We do not need a constitution but to abolish the executive presidency and introduce a sustainable system which ever last in the minds of people. I over and over again emphasize that we should bring a radical change which suits for our present needs. During elections, we all place our manifesto among our people that the executive presidency be abolished by us. After election, really we are not doing it practically as we promise. We have to show it in practice. We have to go for an election making such a change through a new constitution. The new constitution should protect unity of the state, give priority to the Buddhism and respect all other religions. This country stands compacted into one place where it cannot move forward. 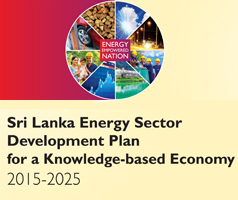 We have to bring a radical change in politics to convert this situation into favor’ Ravi Karunanayaka, Minister of Power, Energy and Business Development said. 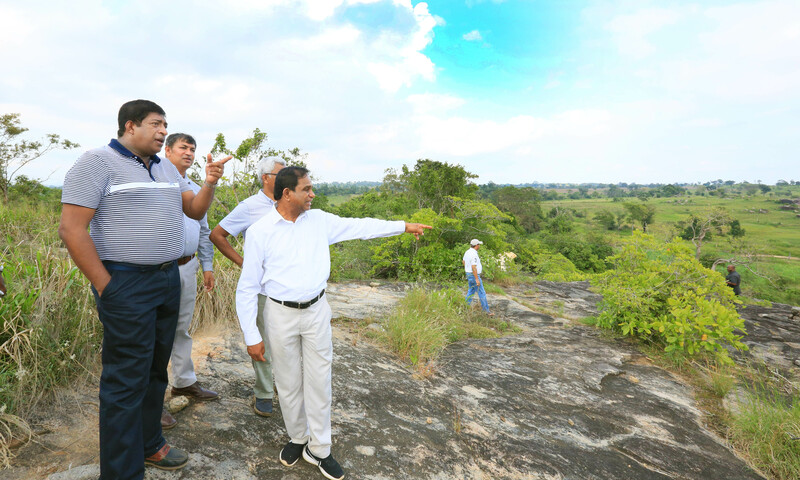 The Minister expressed his view during his visit made yesterday (17) on observation of the works under phase one of the Solar Energy Park with 40 MW capacity proposed to construct in Monaragala District which is to be connected into National Power Grid. ‘Today everyone says that he/she would become the president. That is not really needed. All are coming to the power giving promise that existing constitution be changed. I know that the President will do it. The Prime Minister has been given with such mandate. Therefore, we should not give room for the needs of one or two persons in opposition parties, and take a step to abolish the executive presidency on behalf of the nation and its people. People like Gamini Dissanayaka and Lalith Athulathmudali sacrificed their lives for shake of abolishing the executive presidency. They had known that the system of executive presidency introduced is not suitable, though it was good for someone. Good things have been carried out through this executive presidency, but most of the time, bad things have happened. We all contested in last election giving promise to the people that the executive presidency be abolished. The Late Venerable Sobitha Thero also was of the view that this executive presidency should be abolished’ the Minister said.